Fear of Landing – Did TCAS Cause a Near Miss? Did TCAS Cause a Near Miss? 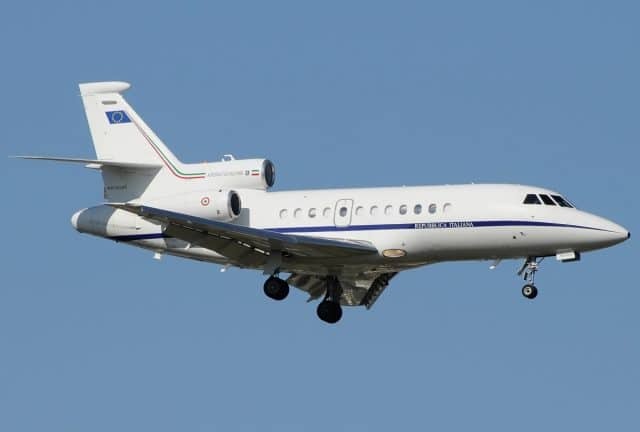 On the 17th of October in 2013, an Italian Air Force aircraft departed Tallinn Airport (Estonia) for Rome Ciampino Airport. The Dassault Falcon 900 is a French-built corporate jet aircraft. 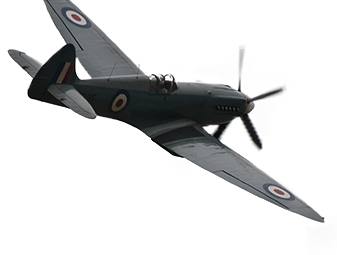 It was flown by an experienced pilot who was rated as an instructor in the Italian Air Force. The aircraft departed Tallinn at 14:51 UTC to join route L729 with a clearance to climb to FL340 (34,000 feet). 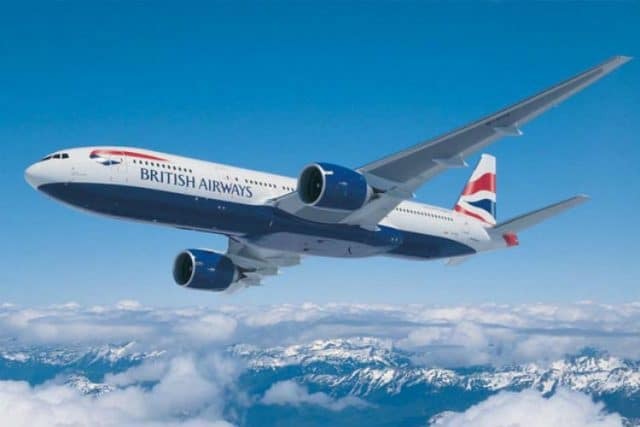 At the same time, British Airways flight BAW17, a Boeing 777-200, was travelling on route P862 on its way from London Heathrow Airport to Inchon International Airport in Korea. The Boeing was cruising at FL350 (35,000 feet). At 14:59, the flight crew contacted Tallinn Area Control Centre as they crossed into their zone. The two routes, L729 and P862, cross over the north end of Kihnu island. Thus, at this stage the aircraft were both travelling towards that intersection, with the Italian Dassault climbing to FL340 and the British Airways Boeing steady at FL350. At 15:00, there was a scheduled staff change at Tallinn Area Control Centre. The controller coming on duty was briefed about the “situation” with the two aircraft, although the report does not get into any detail as to what the controllers saw the situation as being. The two aircraft were expected to cross paths with a vertical separation of 1,000 feet, which is sufficient. The controller contacted the Italian Dassault. 15:04:31 Tallinn Area Control Centre Italian Air Force, maintain FL340 when reaching, expect further climb in 1.5 minutes. Italian Air Force IAM3116 Copied, maintain 340 and we advise you that we don’t need anymore climb, so 340 will be good final. Tallinn Area Control Centre Italian Air Force, roger, 340. Now, I’m not quite sure how it was that the aircraft separation reduced below safe minima but at 15:05, various safety net systems triggered. These systems are specifically in place to warn that standard methods of safe separation may fail or have failed. On the ground, the Short-Term Conflict Alert triggered, showing the distance between the two aircraft in red, to alert air traffic controllers of a potential or actual infringement of the minimum separation required. The two aircraft flashed on the controller’s radar display. At the same time, the Traffic Collision Awareness System triggered in both the Dassault and the Boeing. All modern commercial transport aircraft has a Traffic Collision Avoidance System (TCAS) installed. In this case, both aircraft were equipped with TCAS II version 7.0. The TCAS interrogates the transponders of all nearby aircraft, receiving their altitude and distance. If it discovers aircraft nearby, it offers a traffic advisory (TA) to alert the flight crew of the nearby aircraft. When the flight crew receives a traffic advisory, they are not expected to perform avoidance manoeuvres, simply to be aware that there is the possibility of a conflict. It gives the flight crew a chance to locate the other aircraft visually and prepare for the next instruction if the risk of conflict continues. If the TCAS determines that there is a real risk of collision, and if the other aircraft is also TCAS-equipped, the TCAS will send a coordination signal to the other aircraft in order to resolve the encounter. This is called a resolution advisory (RA) and should always be followed by the pilots, even if it contravenes air traffic control instructions. TCAS coordinates the evasive manoeuvres ensuring that the two aircraft increase separation as quickly as possible: most commonly, one TCAS system will select an “upward sense RA” (instructing the pilot to climb) and the coordination signal to the second TCAS means that the second system will select a “downward sense RA” (instructing the pilot to descend), thus resolving the conflict immediately. At 15:05, both aircraft received a TCAS traffic advisory, alerting them to potential conflicting traffic. The flight crew in the Italian Dassault identified the British Airways Boeing at their 2 o’clock position and the British Airways Boeing identified the Italian Dassault at their 11 o’clock. 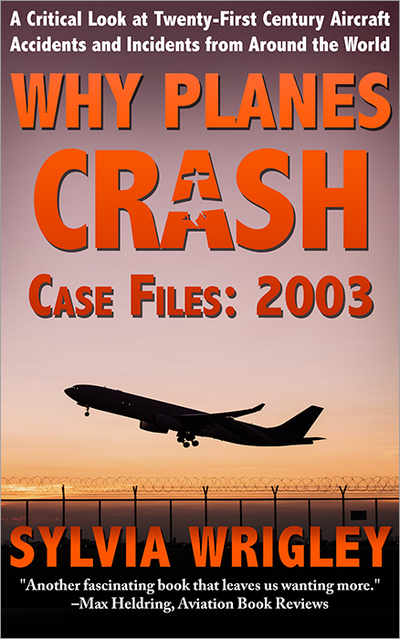 The flight crew in the Italian Dassault then began to reduce their vertical speed in order to level off at FL340. Two seconds before the aircraft reached FL340, they received a resolution advisory. The Dassault descended about 80 feet and then resumed climbing, reaching FL343 (flight level 34,300 feet), leaving just 700 feet between the two aircraft. The Area Control Centre’s radar displayed both flights in red, to indicate that the separation between the two aircraft was unsafe. The Italian Dassault contacted the controller. Tallinn Area Control Centre IAM3116, flight level was 340. Italian Air Force IAM3116 Yes, but we had a TCAS conflict that commanded us to climb. Tallinn Area Control Centre Traffic was at FL350…above you. Italian Air Force IAM3116 It was maybe a problem of the wrong indication of the TCAS, but my rules say that I have to follow. Tallinn Area Control Centre Roger. Now the controller’s confusion here is plain. 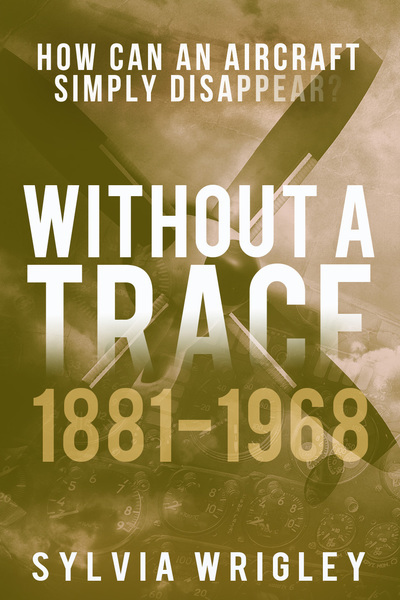 It made no sense for the TCAS to advise the Italian aircraft, which was the lower aircraft, to climb. The two aircraft had 1,000 feet separation but because the Italian Dassault then climbed above its cleared level, that separation reduced to 700 feet. The British Airway’s Boeing did not receive a resolution advisory and continued at FL350. The two aircraft, which had appeared to be crossing paths safely had suddenly become dangerously close to each other. It seems incredible that the TCAS resolution advisory could have been CLIMB, CLIMB, directing the aircraft towards the other aircraft. And in fact, it wasn’t. At the time of the resolution advisory, the Dassault was still climbing, as it was just below its assigned flight level of 340. As a result, the RA received was not so straight forward. The TCAS issued a resolution advisory which I have to admit, I have never heard before: ADJUST VERTICAL SPEED, ADJUST. This advisory always means a reduction of vertical speed, never an increase, although in the heat of the moment that might not be clear. The point of the advisory, I think, was that the aircraft would be fine at FL340 but needed to stop climbing in order to be sure not to infringe on the minimum separation. There’s no aural advisory for “stop climbing and maintain your current altitude”, so the only option is to adjust the vertical speed (in this case, to zero). This would also explain why the British Airways Boeing did not receive a resolution advisory: all it needed to do was keep doing what it was doing, continuing on at FL350. 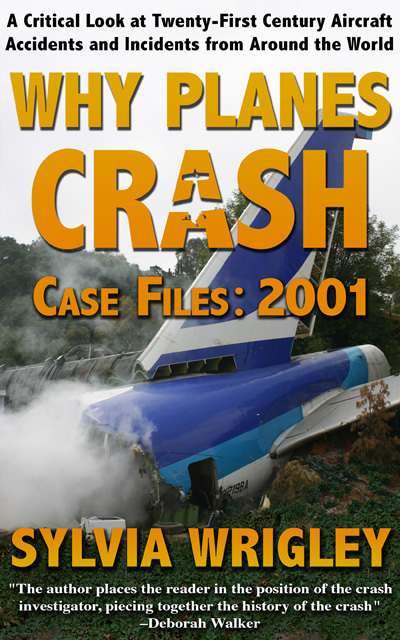 So the flight crew, by continuing the climb past their assigned level, generated a more dangerous situation, although clearly the captain believed that they had correctly responded to the TCAS resolution advisory. I’m slightly unhappy with the conclusion of the report in this instance. 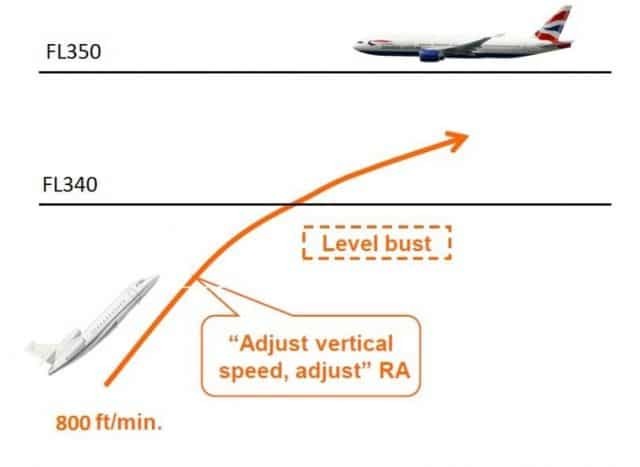 This incident is attributable of the fact that the crew of IAM3116 misinterpreted TCAS RA “Adjust vertical speed, adjust“, by increasing the rate of climb instead of levelling off. Now, I agree with the causal factor but at no point does the report actually investigate the inciting incident: the triggering of the TCAS in the two aircraft and the Short-Term Conflict Alert on the ground. The only discussion on the air traffic control aspects is that the Short-Term Conflict Alert provided little help to the controller to avoid this conflict. It seems to me that understanding how the situation arose is deserving of a little more analysis than that. It’s hard not to feel like the accident report gave a pass to the Estonian traffic controllers, without investigating their understanding of the situation and their reactions to it. I’ve complained about this in regards to both French and German reports before, so this is by no means specific to the ESIB. But even if they concluded that the Air Traffic Controllers did everything correctly, the investigation should spend some time on analysing how the inciting incident could have been avoided. Meanwhile, the safety recommendation for this case is a bit of a soapbox, in my opinion. The underlined emphasis is from the original. EU 1332/2011 is mandating TCAS version 7.1 to be used in European airspace on civil aircraft. State aircraft are subject to National jurisdiction and no mandatory action can be enforced at EU level. Since the State transport aircraft may operate in the same airspace as civil aircraft, the adoption of TCAS version 7.1 on transport-type State aircraft may not be seen as mandatory in regulatory terms, but it is strongly recommended to all ICAO and EASA member states, that for safety reasons, all State aircraft should be upgraded to version 7.1 as soon as possible, including when forward-fit opportunities arise. Taking in account that “The Convention of International Civil Aviation” Article 3 and EC 216/2008 Article I exclude State aircraft, ICAO and EASA cannot mandate the implementation of TCAS version 7.1 on State aircraft, which decision at the moment is on the separate member states. It is therefore recommended to ICAO, EASA and European Commission to consider promoting member statesto take further actions in enforcing the adoption of TCAS version 7.1 on State aircraft, when operating in common airspace to mitigate the risks of loss of separation between civil and State aircraft. In other words, TCAS version 7.1 should be required by state aircraft (for example military aircraft) the way it is for civil aircraft, because the two are sharing the same airspace. 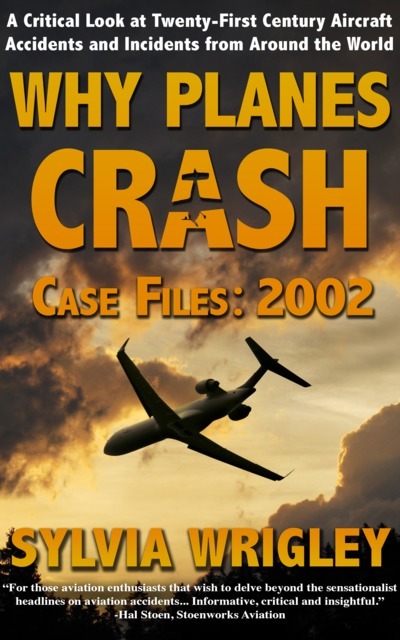 The thing is, both aircraft were using TCAS II Version 7.0, so it’s not like the Italian Air Force Dassault was operating a different traffic collision system from the British Airways Boeing, the civil aircraft. Also, there’s no justifying argument within the report. There is a total of 9 aural warnings on TCAS II v7.0 (including the climb/descend as pairs). Clearly, this one was not easily understood, although that should have been dealt with through training. But there’s no information at all as to what the aural warnings are on TCAS II v7.1 or what the Dassault flight crew would have heard in the same situation if they were using that version. You can read the full report here: Serious incident, loss of separation between Boeing 777-200 and Dassault Falcon 900 near Kihnu Island on 17.10.2013. The investigation and report took over a year to complete. Personally, I think that the Estonian Safety Investigation Bureau could have been a lot more thorough in investigating the case and justifying their conclusions. My last flight was 8 years ago, technology has developed in the intervening years, so I am not familiar with the latest versions of TCAS. I doubt very much that the various versions would be incompatible, my guess is that more “bells and whistles” have been added. The older systems were simple to interpret, perhaps technology has gone a step too far and has added confusion instead of clarity? Judging from the article, It seems that the aural warnings perhaps are not always clear to pilots whose native language is not English. What SEEMS to have happened is that the RA simply advised the Italian crew to reduce the rate of climb. The BA flight probably got a traffic alert, requiring no action, as the TCAS computed that there would not be a conflict. Before the introduction of RVSM, above FL 290 the minimum separation jumped from 1000 feet to 2000. So the next level above FL 290 was 310, 330, 350,etc. This because of the rarer air making the older generation altimeters less accurate. With more sophisticated systems, air data computers, and increasing air traffic requiring more flight levels, Reduced Vertical Separation Minima were introduced. The climb rate that most aircraft are capable of is tapering off at those altitudes but the Falcon is a potent aircraft and can easily maintain a good climb rate right up to FL 410. Insofar as I can see, the TCAS in the Falcon never issued a “climb” instruction, it simply advised the crew to level off in time. But having used the word “simply”, it may not have been that simple for this crew. The result was an “altitude bust” that fortunately was recognised and corrected in time. The “adjust (or monitor) vertical speed” RA is usually accompanied by a visual indication on the vsi vertical speed indicator. This shows the zone on the VSI were the TCAS will be satisfied and will avoid triggering a more aggressive maneuver. In this case it was probably calling for a near-zero rate of climb. I wonder if the Italian AF pilot saw this RA mode previously in a simulator training session. If not, I can understand some momentary distraction/confusion. A reader has contacted me to say that TCAS 7.1 changed the “adjust vertical speed” message for “level off” to avoid confusion.